EpiPens are crucial devices for students living with life-threatening allergies. Photo by Greg Friese. Since pharmaceutical manufacturer Mylan acquired EpiPen in 2007, consumers have watched the price for a two-pack of EpiPens rise by as much as 548 percent, from $93 to $608, according to Truven Health Analytics. Epinephrine injectors serve as a first line of defense for victims of severe allergic reactions. The spring-loaded syringe administers a dose of epinephrine, a synthetic adrenaline that temporarily reduces swelling and forces closed airways to open. Since 2011, the price of EpiPen has risen from $164.98 to $608.61. Approximately 3.6 million prescriptions were filled for EpiPen and EpiPen Jr. last year, according to data from IBM Health. The pens expire after one year and doctors often advise users to have two pens on hand at all times. For sophomore bioinformatics major Carlee Bettler, who suffers from severe peanut allergies, EpiPens are a necessity. Loyola business major Bradford Horton, whose health insurance does not cover the medicine, went from paying $160 to $630 for EpiPens in the span of two years. EpiPen is estimated to control 85 percent of an American epinephrine injector market worth more than $1 billion, according to Bloomberg Businessweek. The manufacturers behind Auvi-Q, the closest competitor to EpiPen on the market, voluntarily recalled its injectors last October after receiving reports of insufficient dosages in the devices, leaving Adrenaclick as one of the few alternatives in the market. Although Adrenaclick has a significantly lower list price, at about $460, compared to EpiPen it is also more complicated to use, which could present problems for children or other adults not familiar with the device. Despite the price hikes, Horton, a 19-year-old sophomore, said he would not consider using Adrenaclick. Both of Loyola’s wellness centers contain a steady supply of epinephrine in case of emergency. 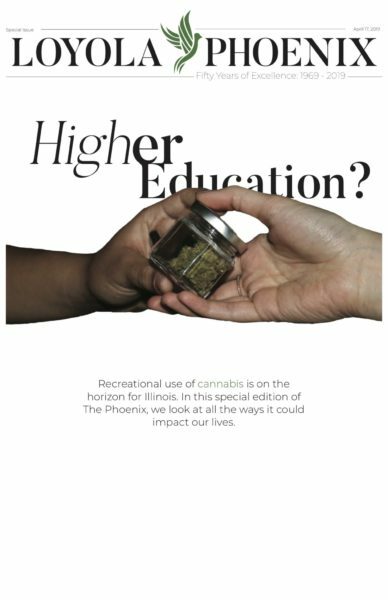 In the event of usage, the student would not be charged for the drug, according to Wellness Center Associate Director Joan Holden. Other pharmaceutical companies are attempting to capitalize on the situation by developing alternatives. Teva Pharmaceutical Industries is pushing a generic version of the injector, but does not expect to release it earlier than 2017 after the Food and Drug Administration (FDA) rejected their proposed model last February. Imprimis Pharmaceuticals, known for creating a $1 alternative to AIDS drug Daraprim after the drug underwent a 5,000 percent price hike, announced on CNN last August that it was developing an auto-injector that could be sold profitably for $100. The controversies surrounding Mylan might pressure the FDA to put upstart products on a fast track to government approval, according to Robert Kolb, the Frank W. Considine chair of business ethics and Loyola finance professor. The constant price hikes have spurned an investigation by the House Oversight and Government Reform Committee as well as a protest at Mylan’s U.S. office in Pennsylvania. In response to the criticism, Mylan announced Monday that it would introduce a generic line of the auto-injectors for a list price of $300 — less than half the cost of the regular brand. The company also offered to pay up to $300 for those needing financial aid through coupons, up from its previous cap offer of $100. Kolb doubts these moves will relieve the public’s concerns.